Like they say ‘too much of something is bad enough’ but if taken in moderation and in the right form, sugar can still be consumed on a daily basis and not turn out to be as big an evil. The question is which kind of sugar is good and which one should be completely avoided? To know more, read on. Why is sugar considered bad? The human body is not made to consume excessive amounts of sugar. It can completely mess with your entire system and affect the functioning of different organs like brain, heart, liver, joints, skin, kidneys and teeth. While sugar is an important part of our diet, recent reports show that most of us are overindulging in the white stuff. On an average, an adult consumes 62 gms or nearly 16 teaspoons of sugar each day, which is twice the amount of its recommended intake. No wonder, an upsurge in diabetes and other sugar related ailments is being reported from across the globe. Excess consumption of sugar leads to pumping extra insulin into the bloodstream which may affect the arteries and parts of the circulatory system causing problems like stroke and heart attack. For those suffering from diabetes, consuming sugar more than the recommended quantities can lead to kidney damage. Apart from adding to your weight woes, eating sugar can also cause inflammation in the joints thus increase the risk of developing rheumatoid arthritis. Sugar can be categorised as natural and manufactured. While most fruits and vegetables contain a mix or combinations of glucose, fructose, maltose, lactose; packaged or factory made food products have what is called sucrose or table sugar. It is added to products for enhanced taste and sweetness and its excess consumption is often correlated with many health issues. Chances are you already know that excess of sugar is harmful for your overall health but adding it to your daily cup of tea & coffee, baked goods and sweet bakery items is unavoidable. What is worse that even savoury food items like breads, soups, sauces and chips contain considerable quantities of sugar and you are probably not even aware of it. Packaged food is your worst enemy as it contains what is called empty calories. Yes, sugar does fall in the carbohydrate group and is an important source of energy for the body, but table sugar is no substitute for it. The GI of table sugar is 60. Its ultra-refined process leaves it totally devoid of any nutrients and makes it difficult for the body to break it down. Thus making it a perfect candidate to eliminate from your diet right away. Raw honey: It is not processed which means it contains enzymes and antioxidants that are beneficial for the health. Stevia: It is another form of healthy sugar that you can include in your diet. It is considered safe for diabetics as it has a glycemic load of zero. This means it does not cause a rise in blood sugar levels and is even low in calories. 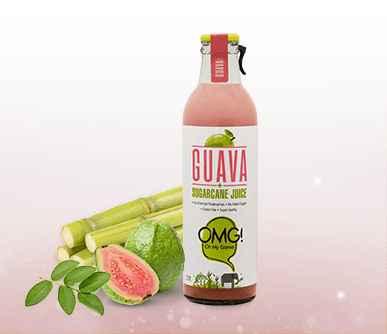 Raw agave syrup: Because of its high fructose levels, its GI value ranges between 10 & 19. Though 1.5 times sweeter than sugar, it does not lead to a spike in blood sugar levels making it safe for consumption by diabetics. Natural sugarcane juice: Or ganne ka rus as it is popularly called, sugarcane juice drink is considered to be a natural energy booster. Rich in iron, calcium, magnesium, electrolytes and other essential nutrients; a glass of natural sugarcane juice can keep you hydrated and feeling refreshed whole day. You can use it for cooking purposes also and trade it with your regular sugar to add to your drinks. 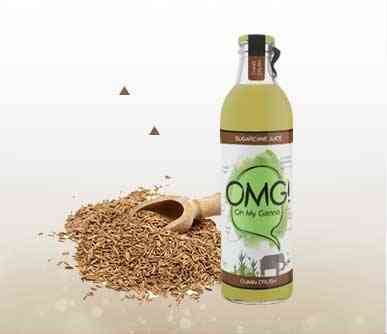 While sugarcane juice drink is seasonal one can now enjoy the same natural and fresh taste of it with Nutricane’s OMG! 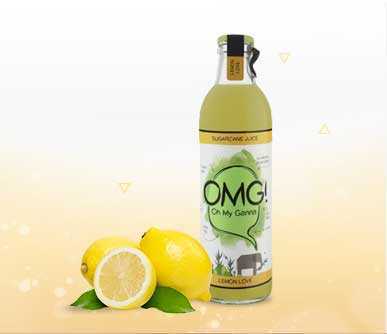 Available in three different variants, OMG is sugarcane juice in glass bottle that has been prepared using the FusionFresh technology which renders it a taste as fresh and flavourful as the real. 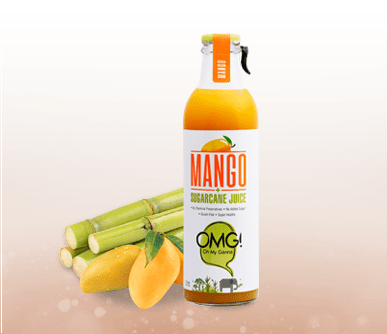 With no added preservatives or chemicals & a longer shelf life of up to 6 months, it is a hygienic sugarcane juice option for those who like to enjoy it all year round. Disclaimer: The article contains information that has been sourced from various sources available online and is not to be considered medically correct. Medical discretion is advice before trying any of these methods or recipes.